Dermocosmetica are a specialised company focused on providing integrated skincare solutions through clinically proven skincare brands designed to treat all dermatological conditions including cosmetic, corrective or therapeutic. Dermocosmetica supply to leading Australian and New Zealand pharmacy, medical and skin care professionals including dermatologists, plastic surgeons and professional aestheticians. Click here to see where to purchase Dermocosmetica products. PRESCRIBEDsolutions® DNA. This product utilises 2 core products to provide effective DNA repair with a combination of ingredients that reverse DNA damage, excise CPDs (UV damage that causes distortion of DNA) and protect against future damage. 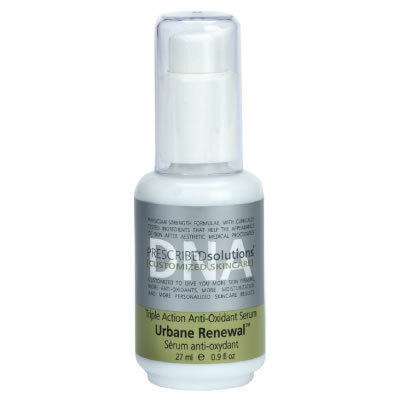 DNA Repair: The formulation contains a unique complex of ingredients that repairs damaged DNA, including photosomes®,Roxisomes® and Ultrasomes® as well as 7 Anti-oxidants that have been shown to protect against free radicals found in pollutants, smog, cigarette smoke and pesticides. It also contains osmopur, hydrolyzed algin, lepidium sativum sprouts, thermus thermophillus, ergothioneine and hedychium spicatum extract. Lastly creatine has been added to maintain cell energy to speed natural mitochondrial repair. 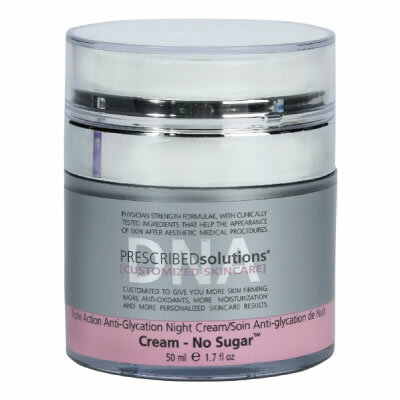 Cream – No Sugar® is so luxurious you won’t believe your skin is on a sugar-free diet! Protect skin against ageing while repairing DNA with this hydrating cream. Used primarily in the evening. An ideal cream for older skin types It contains a unique complex of ingredients that repairs damaged DNA, including Photosomes®, Roxisomes® and Ultrasomes®. The Anti-glycation protection comes from carnosine and saccharomyces ferment filtrate, helping to maintain skin suppleness and stimulate elastin production. Lastly, the emollient vehicle with shea butter and the moisturizes cocoa seed butter, sunflower seed oil and soluble collagen provide its humectant properties. For further information about PRESCRIBEDsolutions® DNA repair skincare including ranging enquiries, orders, clinical papers etc please contact George Kypreos on (03) 9386 3503 or by email on gk@dermocosmetica.com.au.